Each jacket was produced for the 3D scanning system used in Devil May Cry 5, which essentially digitizes the actual costume, similar to facial and motion capture. They are now part of the Devil May Cry 5 Ultra Limited Edition as luxury items for those who have the funds and desire to dress up just like Nero, Dante, and V do in-game. The costumes are only the tops, no other parts will be included with your purchase. While the costume may appear damaged that was intentional due to the setting of the game and are considered a feature and not actual damage. The costumes are only one size so you will want to measure your body before ordering and expecting the costume to fit. Each Devil May Cry 5 Ultra Limited Edition will come with a copy of the game for PlayStation 4 or Xbox One. Reservations are currently being taken by emailing Capcom at “support_e-capcom@capcom.com” and will run from today, October 22 to Monday, November 19, 2018 at 10 A.M. For the cheaper limited edition you can grab a copy of the game along with a E-Capcom Limited edition “classic work shirt” for ¥ 11,852 or $105.06. This shirt includes two front pockets, the Devil May Cry title in cursive, and the wings logo on the back. Just purchasing the shirt will run up to ¥ 7,222 or $64.02. While the costume may appear damaged that was intentional due to the setting of the game and are considered a feature and not actual damage. what if I wanted brand new condition? so I don't have a choice and have to deal with it? Shame on Capcom. Taking advantage of shallow, brain dead cosplay youth with no sense of embarrassment in wearing this crap. Still searching for intelligent life on earth ! Time to move guys ! For 5000 up to 8000 US Dollar (And the Euro price after conversion.) it has to be even more than that from what I've been reading. You are incorrect my friend. Lets start with Theidi Leathers, the world's best bespoke leather jacket maker, Theodoros sells his jackets for max 2000 Euros to celebrities the world over. And he hand creates every jacket himself out of the absolute finest leathers available in the world. I've got a bespoke buffalo hide jacket from him that makes these poor things look like kinder surprise toys. Next you've got ready to wear jacket makers like Belstaff that provide Hollywood with bespoke products for film. Not stage nonsense where they are seen far away only. But film where you might have extreme close up views of the jacket. A bespoke Belstaff jacket for your movie will run you 3000 Euros. I own 6 Belstaff jackets. One bespoke. There is no jacket maker currently in the world who would charge more than that unless you were dealing with gold hardware or shearling. And ready to wear, which these jackets are, rarely sell more than 2000 Euro for leather and 1000 Euro for cotton. 8000USD is more than these would ever possibly cost to not only make, but design from scratch and make. You know literally nothing about the leather jacket market or premium products. Also looking at the quality of both jackets up close, they are of a moderate quality. Not Belstaff, but certainly not Walmart. I'd say Dante's jacket would retail for about USD 1200 and still profit Capcom, Nero's would retail about USD 800 and make a lot of profit. Don't act like an expert in a field you are seriously lacking in. So ~2000 US Dollars to 3000 US Dollars and you can get one of the best leather jackets on the market, these are not on that level. 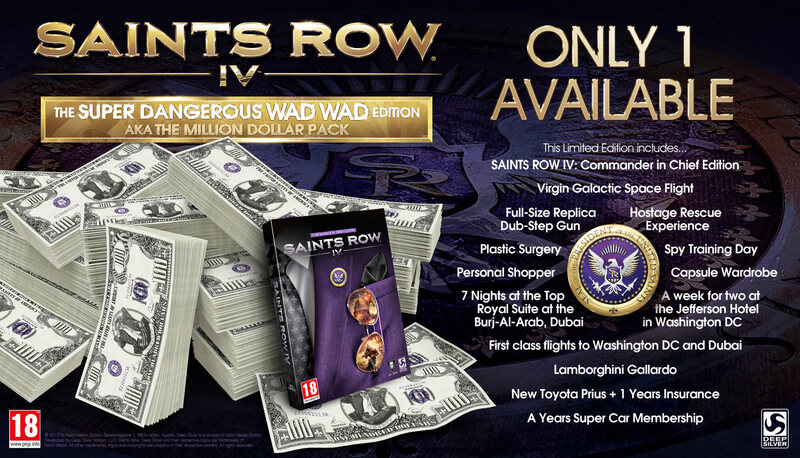 EDIT: Also, there have been even more expensive limited editions of games. Let's see there was Bethesda 10 or 15 years ago . I mean Morrowind was perfect for it's time. but it's all just personal opinion . Looks like April fools comes early this year. At first, I'm laughing hard at the thought of neckbeards trying to fit into these costumes, and then I get revolted as my imagination points out they're too fat to fit.